You are here: Home / food / Kale Chips – Perfectly Crispy! Kale Chips – Perfectly Crispy! 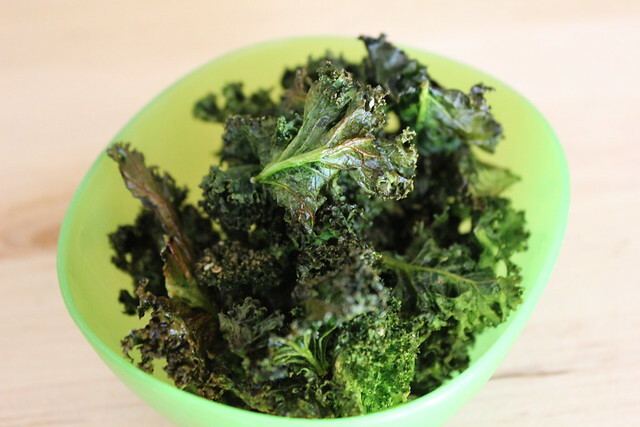 Kale Chips are a crunchy, salty, healthy way to cure those chip blues! Kale Chips have been on my radar for a very long time now, but I keep using my kale for other things. Today, though, I finally made Kale Chips! And they were delicious!! I’m a sucker for crunchy, salty snacks. If you are too, try out my cracker recipe, pepperoni chips, and potato wedges! Kale -use the curly leaf and make sure you really dry it! Olive Oil -you could substitute coconut oil for an interesting twist on flavor. Salt – not too much! You can always add more in the bowl. First, rinse and dry kale, cutting out stems. Next, drizzle with olive oil and salt. Then, bake for ~30 minutes. Finally, enjoy the crispy goodness! Kale chips are easy to make and lend themselves to lots of flavor additions. Here are some answers to your most frequently asked questions! Kale chips are crunchy, yummy, and extremely satisfying! Now, I’ve heard a lot of people say ‘Oh, kale chips taste just like potato chips!’ I’m not going to lie to you. They do not taste like potato chips. Seriously, though, I didn’t really want them to taste like potato chips anyway. What can you put on Kale Chips? How do you make salt and vinegar Kale Chips? To make salt and vinegar Kale Chips toss the dry kale pieces in some white vinegar, lay them on the parchment covered baking sheet and let them dry completely. Once dry, add the oil and salt and follow the recipe as written. How do you keep Kale Chips crispy? To keep Kale Chips crispy, store them in a paper bag, not plastic. 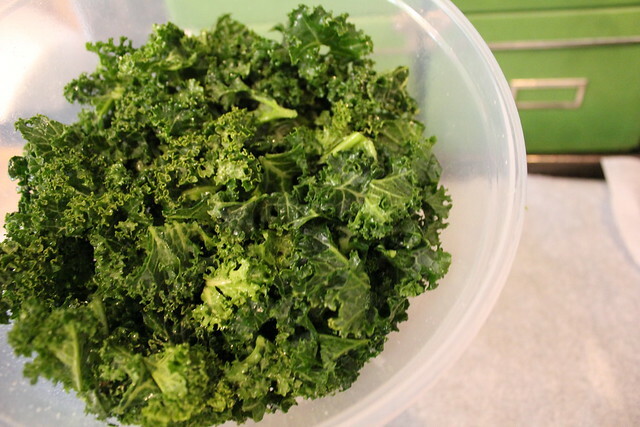 Make sure your kale chips are completely dry before adding the oil and baking them, and completely cool before storing. You could also place the dried chips on top of a bed of uncooked rice in an (airtight) glass container. Honestly, they are best eaten soon, especially if you live in a humid climate like I do! How do you make raw Kale Chips? 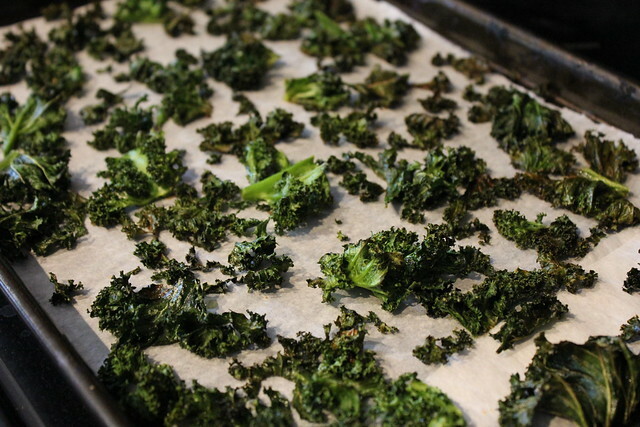 You can make raw Kale Chips by using a dehydrator instead of the oven. 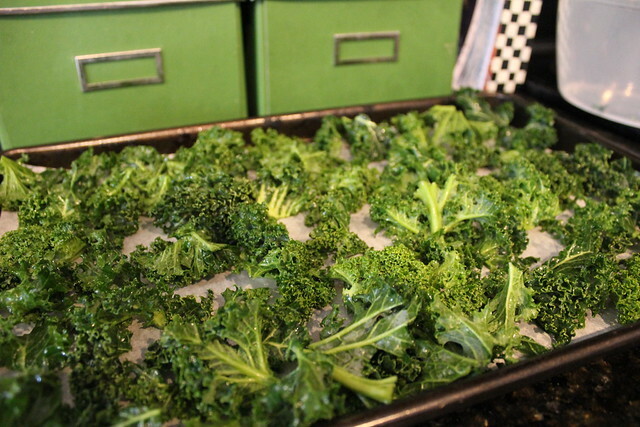 Follow the recipe as above, placing the kale chips into a dehydrator until the chips are dry and crispy. My Kale Chips taste bitter! Kale Chips can taste bitter when they are cooked too quickly. This is because the thin parts burn while the thick parts stay chewy. Low and slow is the way to go! Keep an eye on the chips, rotating the baking sheet if needed. You can also pull out any chips that seem to be racing ahead and burning. Should you refrigerate Kale Chips? You should only refrigerate Kale Chips if you added a perishable ingredient, like cheese. Add these types of ingredients in small batches so that you can enjoy your crispy treats right away. Can Kale Chips be stored? You can store Kale Chips but they may lose some of their crunchiness. Make small batches, making sure kale is completely dry before cooking, and store the kale chips in a closed paper bag once they are completely cool. Anytime you can add leafy, green vegetables to your diet you should grab the opportunity! Here are some answers to your most frequently asked nutrition questions about kale chips! Are Kale Chips really good for you? Kale Chips are really good for you! Kale has the most nutrition per calorie than any plant! It is anti-inflammatory and full of anti-oxidants. Kale Chips are high in fiber and iron, as well as calcium, vitamins D, K, and B6, and are high in omega 3! Do baked Kale Chips keep their nutrients? Baked Kale Chips do keep their nutrients. Are Kale Chips Whole 30 approved? Kale Chips are Whole 30 approved. Kale Chips are Keto. Although all vegetables have carbohydrates, the high fiber content keeps them keto compliant. 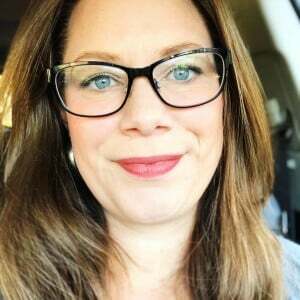 Are Kale Chips low carb? Kale Chips are low carb. Like with keto diets, low carb diets should contain a lot of leafy, green vegetables. Kale chips are not fattening, provided that you are not adding a lot of toppings or dips that could alter that. Can you eat too much kale? You can eat too much kale if you are prone to kidney or bladder stones. If you have had those stones in the past, check with your doctor. Can my dog eat Kale Chips? 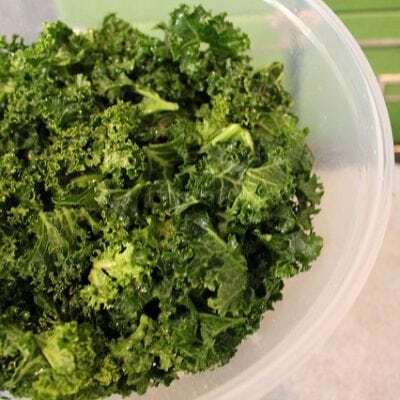 Your dog should not eat kale chips, as they can cause bladder or kidney stones in dogs due to the kale’s high concentration of calcium oxalate. Salad Spinner – I use this almost daily for so many things! In a pinch the large bowl without the strainer insert makes a great salad serving bowl or mixing bowl. - Rinse and thoroughly dry kale (I used my salad spinner). - Cut out any stem pieces so you're left with only the dark green leafy bits. - Drizzle with a small amount of olive oil and mix well (I put mine back into the salad spinner without the strainer part and gave it a good shake). - Salt lightly (also did this in the salad spinner) and lay on a parchment lined baking sheet in a single layer. - Bake at 300 degrees for 30 - 40 minutes (mine were perfect at 33 minutes). When they're crispy, they're done! So what do they taste like? I will admit I have never heard of Kale before. I just read about these in my current issur of Real simple. I even wrote it down on my list of things to try. Are they dip-able? They don't look very appealing, but I know better than to let that stop me, some of my favorite things to eat are really ugly! I love kale! Had some in pasta last week and will be putting some in soup tomorrow but I've never had kale chips before–sounds interesting! Lisa – they surely are dippable, but they taste SO much better than they look, i promise! Wow, what a great way to get in your greens! I have to try it! And I LOVE that your recipes are simple with only a few ingredients… what else can you use kale for?? I confess I've never bought it. That's funny, I was catching up on your blog and just saw this… I've been wanting to make kale chips for over a month… can't seem to find kale, not in Publix or two different farmers markets. Made this several times over the summer. SO GOOD. Seriously our favorite snack, even my kids ask for them! !